It took 150 tries for making a Perfume like this. And Yes it came out very well. Today we are talking about Poison Girl by Dior. Poison Girl is another perfume in the Poison Series by Dior specially intended for younger lovers. It was launched in early 2016 & still quite popular worldwide. It is Floral & Sensual made for modern Women. 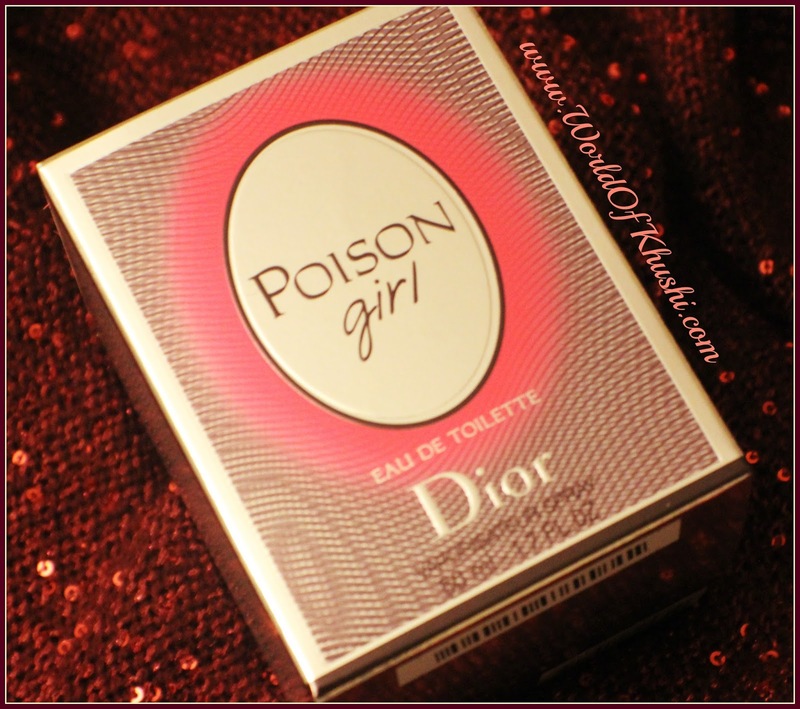 Shiny Metallic Packaging with 'Poison Girl' written inside a Pink & Black ellipse on the front makes the Packaging attractive. But it is not only what is outside it is what comes inside the Packaging. A cute bottle with black cap & a forbidden apple shape to make it look Poison. The bottle is transparent with glass finish & the color what you see is all of the Perfume inside it. 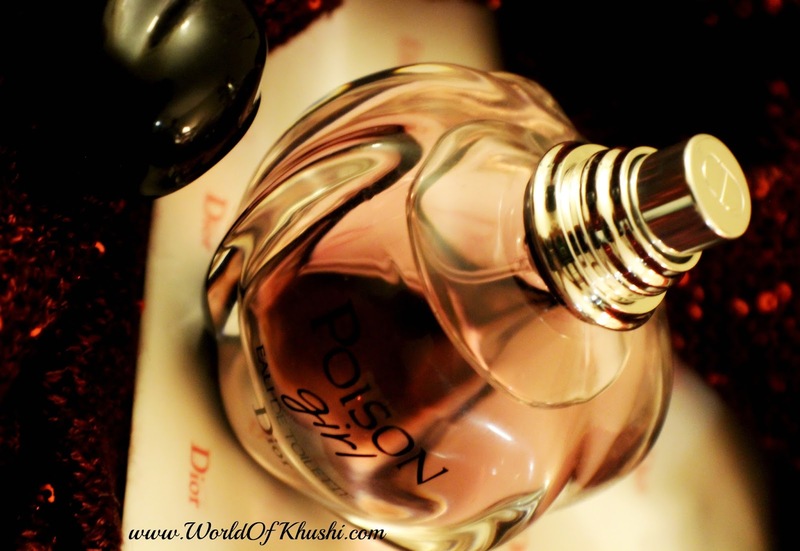 It is a light Wine color Perfume which makes it quite sensuous & mysterious too. The silver finish spray on the top has the brand name CD (Christian Dior) imprinted. Overall small, handy & stylish bottle. The fragrance is on the floral side with a refreshing & sweet touch. With all ingredients mixed in extremely well proportion this fragrance is quite addictive. Here the Opening top notes are of Dual Types of Oranges; Sicilian Sweet & Lavish Calabrian. Although both types of Oranges are different in nature they blend well & provides you a Juicy smell & Freshness of the orange. On the Heart Notes it has Neroli with Grasse Rose & Damascan Rose. With different varieties of roses you will certainly feel the flowery touch which perfectly complements the top Orange Notes. Finally the Base Notes of Vanilla & Tonka Bean are added to give the sweetness in the perfume. Also the combination makes it long lasting & provides a sensual effect. The fragrance is long lasting; at least 5-6 hours on skin and on clothes until you wash or wear 3-4 times. It is best suited for Evenings & Special Occasions. 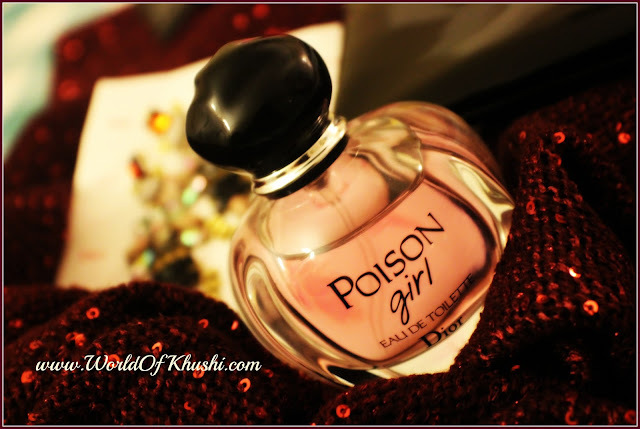 If you like Sweet & long lasting Floral Fragrances then this is the right Perfume for you. Dior is a famous brand among actors & celebrities too. 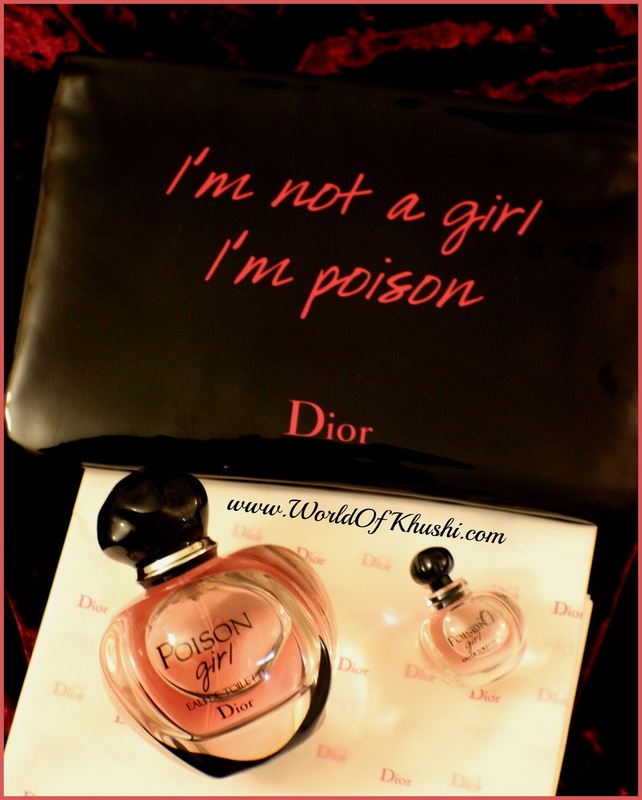 It is also on the pricey side & an expensive perfume but with Dior name it is worth it. Bottle is stylish & fragrance is long lasting. I would say YES for it. Do try a sample first & if it is your kind of perfume you can buy the full version. 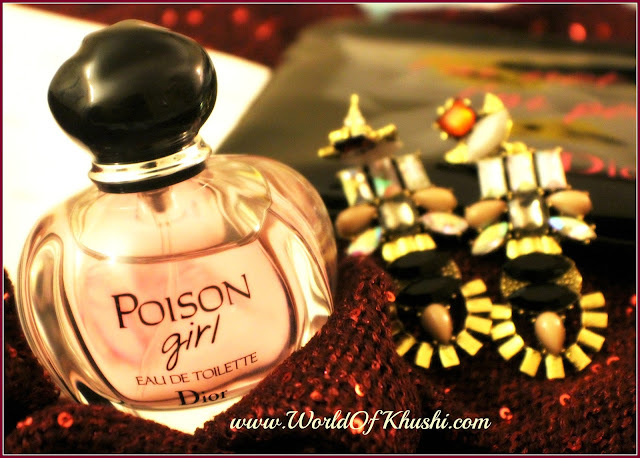 This is my full Review for Poison Girl by Christian Dior Perfume. I hope you have liked this. I am enjoying the Perfume let me know if you buy it. If you have any other thoughts on the Perfume Review do comment below. I would love to do more Reviews let me know if you have any more Requests. Guys do like this post & share it with everyone you know. 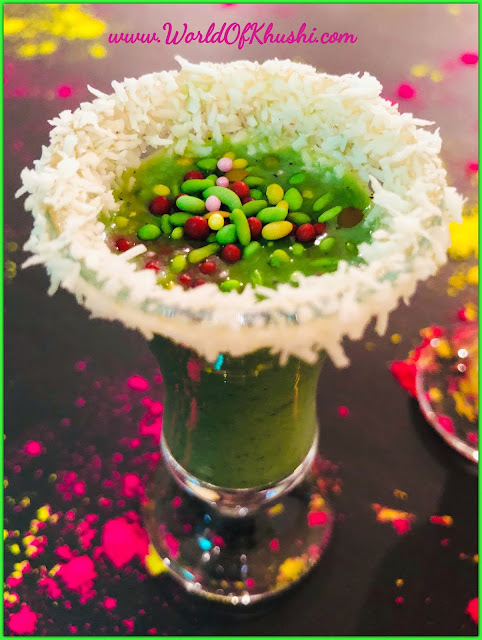 Follow me on Khushi's World Facebook Page, Google+ , Instagram and Pinterest for more Posts.I will see you in next post till then take care.